Cabbage is very food for our health but how long do you boil cabbage? 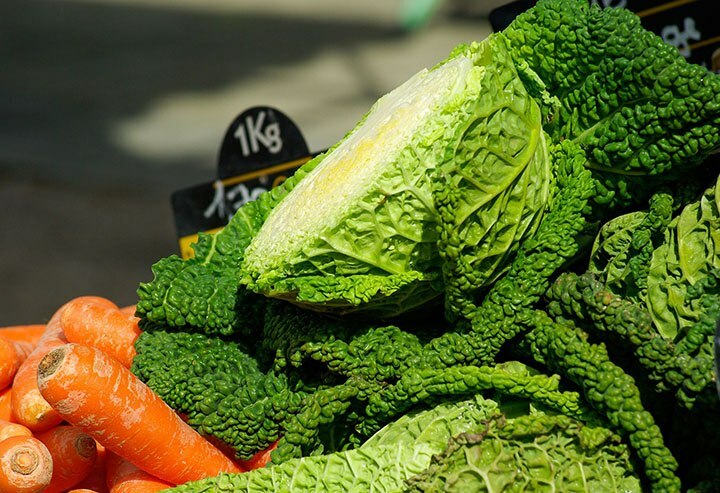 Though it may look simple, cabbage is one of the healthiest foods in the world. It has cholesterol-lowering properties that are activated when cooked; it has ‘sinigrin’ a substance that’s been studied for cancer research and, to top it all, it can be particularly delicious. This list was created to teach you how long to boil cabbage so you can start including it in your diet right away. How Long to Boil Cabbage And Tips? Step 7 – Use the cabbage! There are many types of cabbage out there so make sure you choose the one that better suits your need. Green cabbage: This is the most common one; You’ll be able to recognize it by its fan-like leaves and waxy feel when it’s raw. Red cabbage: The leaves of this cabbage are a reddish-purple color. This cabbage is often used to naturally add color to dishes. ​Napa cabbage: Easily mistaken by a romaine lettuce, this cabbage is much sweeter than the rest. ​Savoy Cabbage: Perhaps the healthiest of cabbages, thanks to its high content of vitamin K and C.
Bok Choy Cabbage: This Chinese cabba﻿g﻿e is bitter to taste and quite watery, making it the most distinctive of cabbage varieties. How long to boil cabbage? - Cabbage wedges can take anything between 10 to 15 minutes. Once you’ve chosen the cabbage you’re going to use and have all the tools you’ll need, you’re ready to start boiling cabbage. Different cabbages have different properties and tastes, even though they’re all cooked roughly the same. Check the recipe you’re following and make sure you’re using the right kind of cabbage for it before you boil it or else you’ll risk wasting time and a perfectly good cabbage. - Look for fresh and crisp leaves. Avoid wilted and brown leaves if you can. - The cabbage should feel heavy for its size. - You’ll get the freshest, most delicious cabbage during the summer. - Always buy whole cabbage if you can manage, as shredded or pre-cut cabbage tends to lose its properties after a while. You can either rinse the entire cabbage or soak them in saline water for 30 minutes, which will ensure a more thorough cleaning. This should be done with store-bought, farmer’s market and organic cabbages alike, as even when they’ve been grown without pesticides, dirt and other debris can get on the outer leaves. 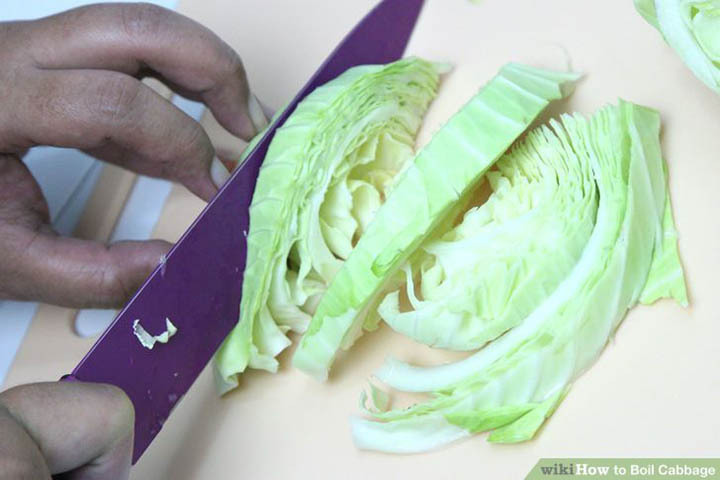 The easiest way to cut a cabbage is to do so in wedges or long shreds, but you can cut it in any way you like. Once you’ve cut the cabbage into more manageable pieces, proceed to shred them into smaller ones, though the thickness is entirely up to you. 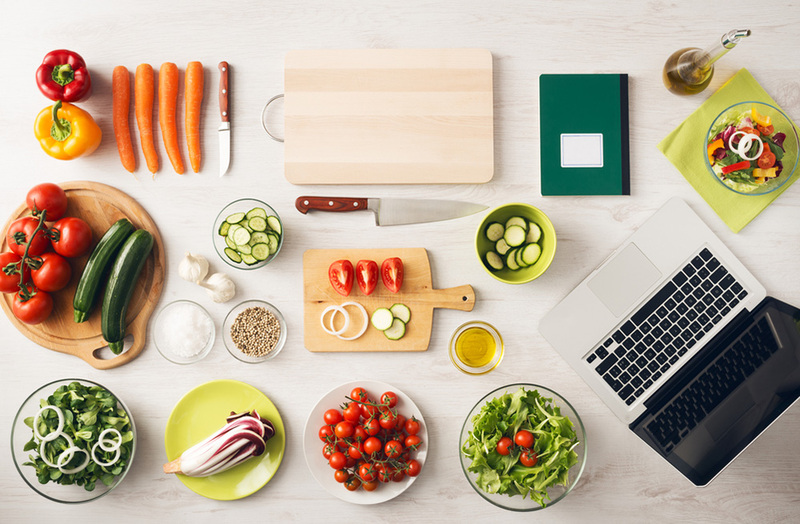 Don’t forget to use a cutting board during this step as not only will it protect your countertops but will also make it easier to move the cabbage once chopped. 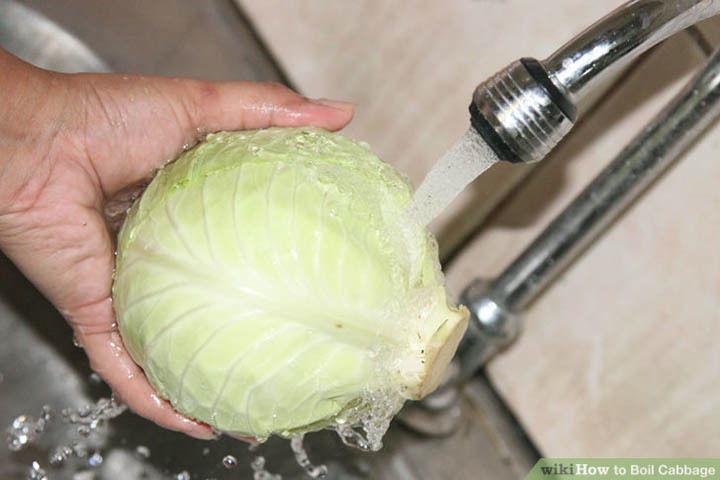 Fill your pot with enough clean, fresh water to completely cover your cabbage without overflowing. If you have any doubts about how much water this is, simply put your cabbage in the water (be it whole or shredded) before boiling it. 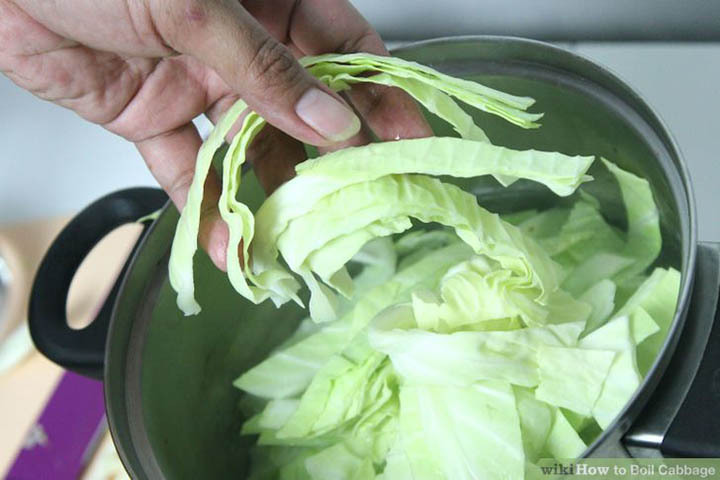 You can also choose to use meat stock or vegetable stock to give more flavor to your cabbage. If you choose to do this, remember to add the stock once the water is boiling and not before, as it won’t mix properly otherwise. Bring the cabbage to a gentle boil. Avoid water splattering everywhere. Put the cabbage in the boiling water. 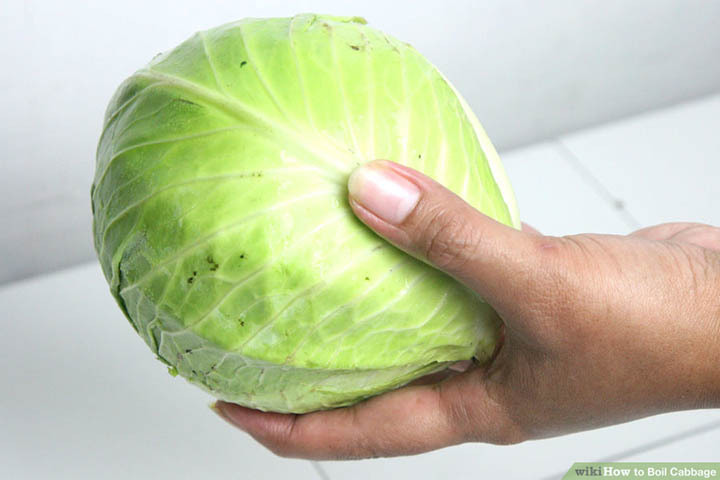 Don’t worry about filling the pot, as long as it doesn’t overflow, as the cabbage will absorb part of the water which will reduce the water level. 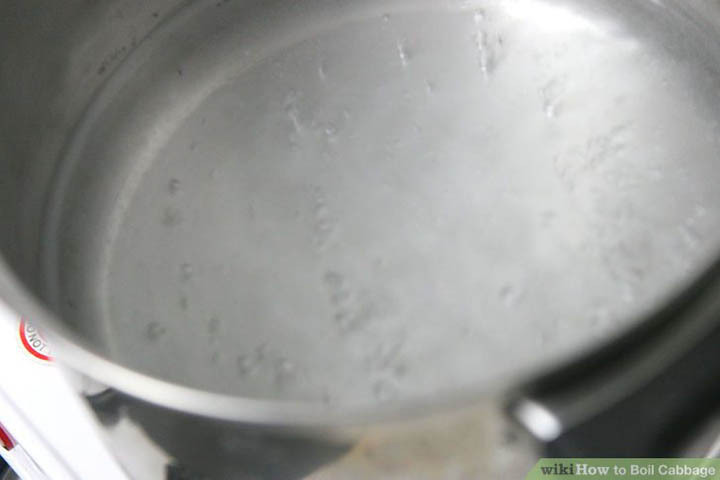 Leave the pot uncovered and keep the water simmering or at a gentle boil. A full-on boil will overcook it, which will make the cabbage taste bad. Regardless of what kind of cabbage you’re cooking and how you cut it, keep an eye on it, so you don’t overcook it. 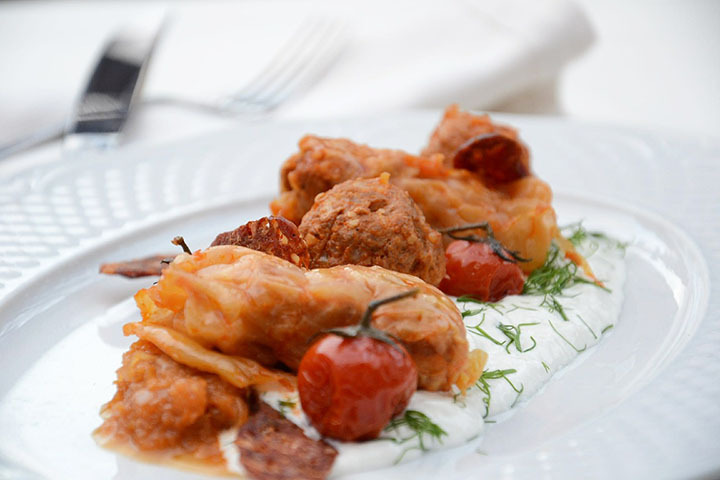 Well-cooked cabbage will be tender with no unpleasant taste or aromas. You can do this in a variety of ways; Use tongs or a slotted spoon to take out the cabbage or, alternatively, simply pour it all in a colander or a strainer. The goal of this is to remove excess water, so it doesn’t matter how you do it as long as you don’t end with your cabbage going down the drain. 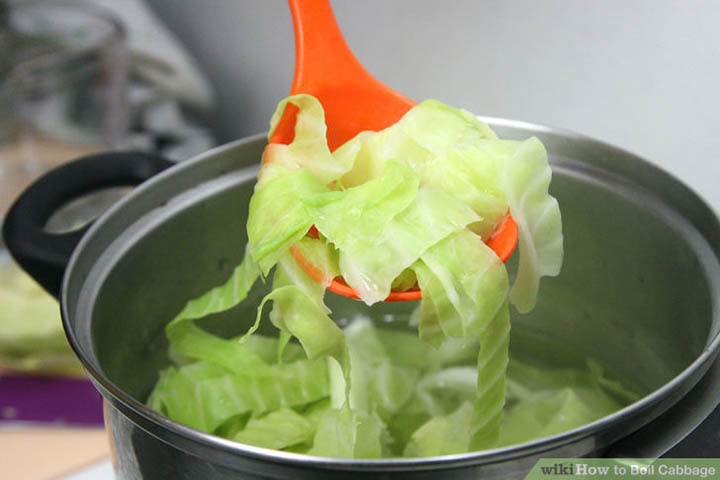 If you used any sort of stock to boil the cabbage don’t toss it away, as the water can be used for other things. This is entirely up to taste, but it’s worth including. If you plan on using your boiled cabbage as part of a recipe, simply follow the steps mentioned there. If you’re going to eat the cabbage straight from the pot, don’t forget to season it to give it a more pleasant taste. Good seasonings for cabbage are caraway, fennel seed, salt, pepper, coriander, paprika, and allspice. Alternatively, you can always sauté the cabbage using butter to give it an extra delicious taste. - You don’t have to buy your cabbage the same day you’re going to boil it. If you store cabbage inside a plastic bag with holes, you can keep it fresh for up to 2 weeks, though this depends on how fresh the cabbage was to begin with. - Remember that boiled cabbage tends to have a pretty strong smell either way so keep that in mind when you cook it. 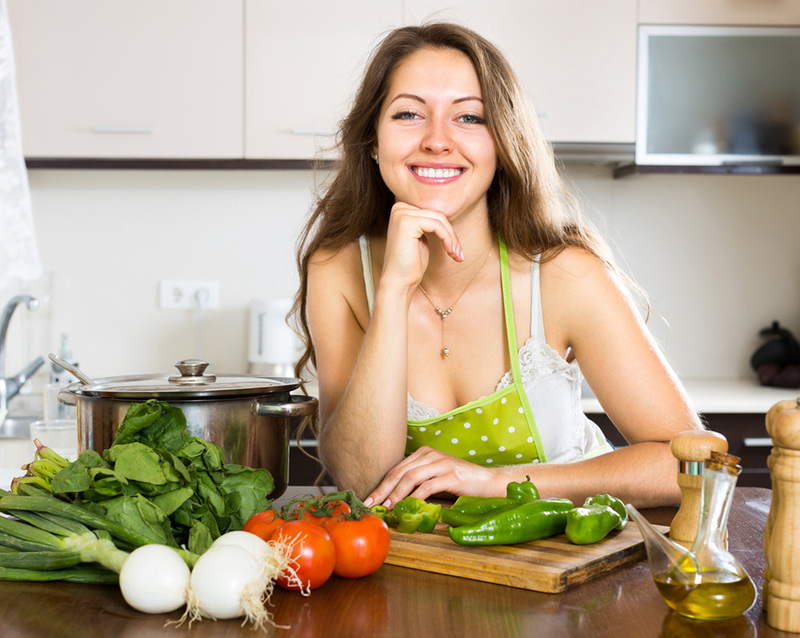 - If you plan on boiling ﻿﻿cabbage﻿﻿ for a﻿ recipe, remember to follow the instructions carefully, as some will ask you to undercook it so it can cook thoroughly at a later step of the recipe. Now you know all there is to know about how long and how to boil cabbage which means you can start including this nutritious vegetable in your diet. So how long to boil cabbage? Did you like this tutorial? Did you find it useful? Do you know another way of boiling cabbages? Thank you for reading, we hope you found this brief tutorial interesting. Don’t forget to like and share with your friends. You may also like How to reheat shrimp and how to reheat ribs.